Drawing from 7 years of credit-related experience, Johnny joined QPF in 2012, managing relationships between Brokers and Lenders before transitioning to a Finance Broker role. His credit background is a huge asset to the team, equipping him with the knowledge of all the ins and outs to ensure a smooth, stress free transaction. 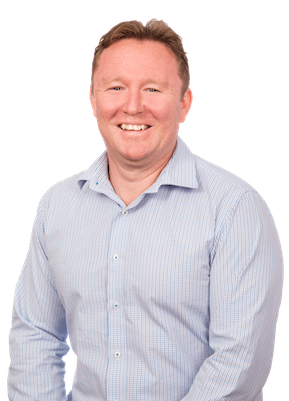 Specialising in finance for the transport and construction industries, Johnny can fund anything from large machinery to franna cranes and tipper trucks. He loves a round of golf, spending quality time with his family or enjoying a seafood dinner whilst watching a couple of true crime shows. Fun fact – An avid Pearl Jam fan, Johnny would love to share a meal with Eddie Vedder. Drawing from 7 years of credit-related experience, Johnny joined QPF in 2012, managing relationships between Brokers and Lenders before transitioning to a Finance Broker role. His credit background is a huge asset to the team, equipping him with the knowledge of all the ins and outs to ensure a smooth, stress free transaction. What has Johnny recently financed? This was my first time using QPF Finance Group and l could not be happier with the service l received from John. From his prompt turnaround to get our loan approved and willingness to answer my many questions l could not recommend him highly enough. His professionalism and attention to detail is outstanding. He also referred us on to Mitch for Insurance who obtained us cover almost instantaneously. I would definitely use QPF Finance Group again. John Egan was extremely helpful and went above and beyond to ensure we got finance for our work and company vehicle. John Egan has helped us twice now with finance. We couldn’t ask for a better finance group. Been with QPF for 9 years, best finance company around. I deal with John Egan and Matt Crain. I have trucks and cars financed with these guys and can say it’s been the best and easiest experience I have had. Would happily highly recommend QPF for your purchases.. ask for John or Matt!